Boopers are intentionally unstable homemade analog feedback boxes, first created in 1975 by David Wills, a founding member of Negativland. By taking a simple clock radio amplifier and sending its output back into its input to create feedback, and then adding multiple transistors, capacitors, and resistors, along with various knobs and switches, to unpredictably control and modulate the signal, the sound that emerges is wildly variable, This creates a dynamic where the Negativland member playing the Booper becomes a fellow collaborator with the device. 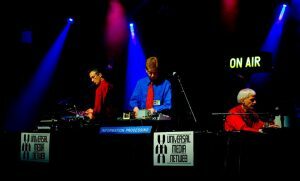 Using as many as seven Boopers on stage at once (all based on Wills’s original design), Negativland further structures, manipulates, and augments these sounds with found voices, cut-up spoken word, ungainly pulsing rhythms, and live collaged visuals. 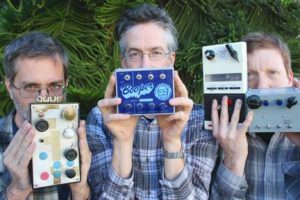 Please be sure and read Negativland’s bio for more background on this unclassifiable and uniquely American experimental music and art group who were cutting up analog audio tape to “sample” long before the term existed. 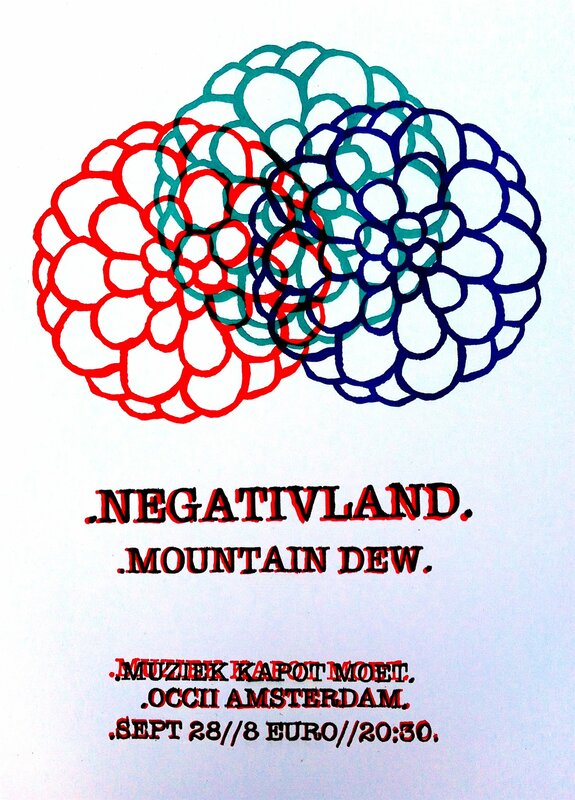 see negativland.com for more information. Amsterdamse geluidsexperimenten van Luc van Weelden, bekend van zijn interactieve installaties waarin de luisteraar al bewegend een eigen geluidscompositie maakt.